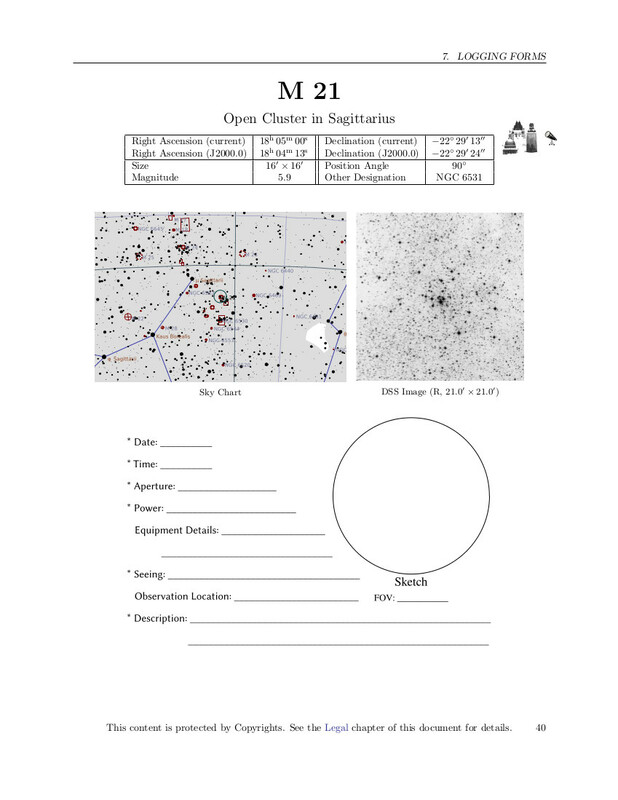 This is a project aimed at creating freely distributable, high-quality logbooks for amateur astronomers, fully complete with star charts and reference images. A table containing basic data about the object is available for quick reference. Some logbooks feature icons that tell you if the object is visible under light-polluted skies, with binoculars, etc. One or more (at different zoom levels) annotated star charts help you find the object. Imagery from the Digitized Sky Survey helps you know what you're looking at. With fields for logging your observations. © The Astronomy Logbook Project. This webpage is made using Bootstrap. Bootstrap is © Copyright 2014 Twitter and is released under the MIT license.